Yasunori Kagoike, the leader of a right-wing kindergarten, will be probed by Japanese lawmakers on Thursday. He claims to have received $9,000 in cash from Akie Abe, Prime Minister Shinzo Abe’s wife. Mr Abe vehemently denied that he, his wife or a third party ever funded the institution, saying he’ll quit politics altogether if the allegations are proven. Last month, the plot thickened when it emerged that Moritomo Gakuen – the ultra-nationalist kindergarten at the centre of the scandal – paid a quarter of the market price for government-owned land and was subsequently fully reimbursed. Until recently, Mrs Abe served as “honorary principal” of the kindergarten, which makes three-year-olds recite pre-WWII pledges to “offer [them]selves courageously to the state”. The story has dominated Japanese headlines over the past few days, damaging the popular prime minister’s approval ratings. With Mr Kagoike expected to repeat his claim in parliament on Thursday, Shinzo Abe will face a media frenzy when he returns from Europe on Wednesday. 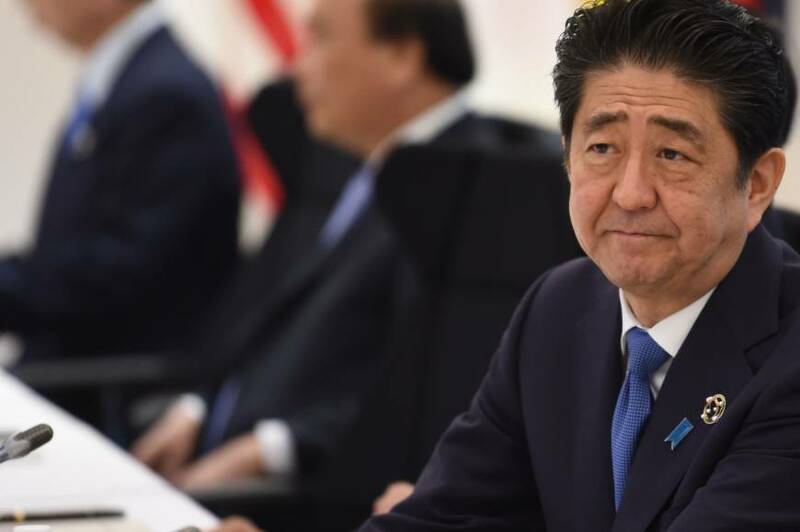 Dig deeper: Normalising Japan: rearming or alarming? At the ripe age of 70, Donald Trump is about to embark on his first ever legislative experience: passing the American Health Care Act. As president, Mr Trump can’t actually vote on legislation – that’s up to Congress, which is expected to debate and possibly vote on the Obamacare replacement on Thursday. The president made a rare visit to the US Capitol earlier this week to implore Republican lawmakers to pass his “great” bill or face “political problems”. 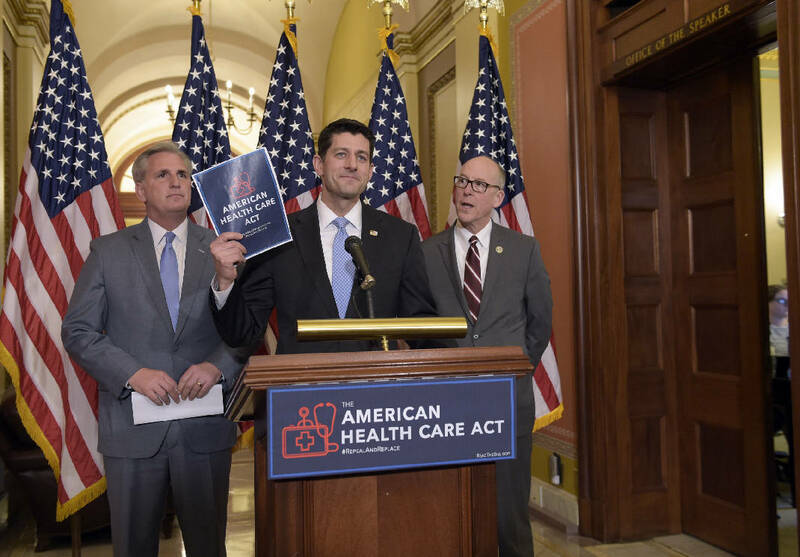 Divisions among Republicans have surfaced in recent weeks, with ultra-conservatives insisting the new law doesn’t go far enough while moderates worry that millions of Americans may lose coverage. Investors will be watching Thursday’s developments with bated breath. Wall Street had its worst day since the November election on Tuesday, spooked by President Trump’s combative Congressional speech. Indeed, many see the upcoming vote as a test of whether the White House and Republican legislators can work together to deliver real legislative reform, which could ultimately include tax cuts, deregulation and infrastructure projects. With Democrats united against the health care bill and divisions in the Republican camp, Mr Trump will have a battle on his hands come Thursday. Somalia’s brand is crisis, though not the crisis management sort. Its 26-year-old civil war requires the ongoing presence of 22,000 African Union troops, 5,000 of which are from neighbouring Kenya. For this reason, newly-elected Somali President Mohamed Abdullahi Mohamed’s visit to Nairobi today is especially significant. Last year President Uhuru Kenyatta threatened to withdraw Kenyan soldiers from the international stabilisation mission, which in any case is set to begin its drawdown in 2018. 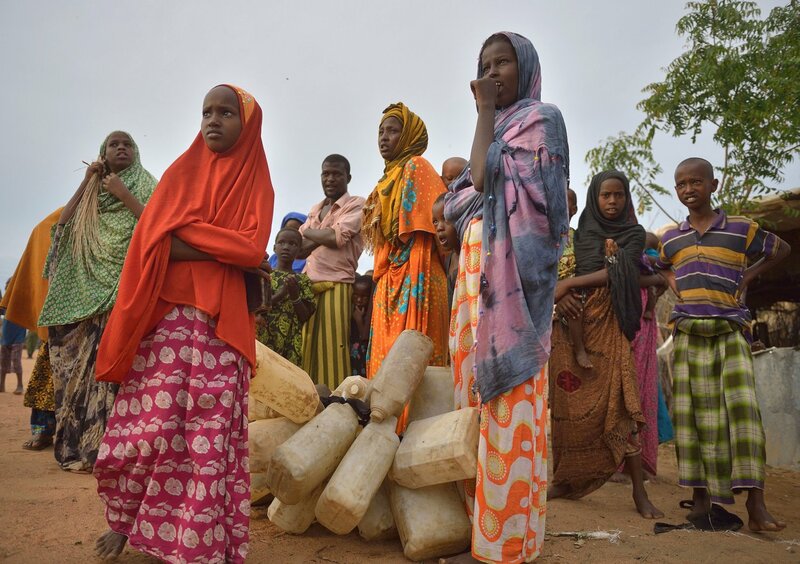 Kenya is also home to Dadaab, the world’s largest refugee camp, which houses 300,000 Somali refugees. Nairobi currently plans to close the camp by May, though it has missed past deadlines. Somalia is already home to 1.1 internally displaced people – many of whom are suffering famine – and can ill afford more. President Mohamed will hope to secure Mr Kenyatta’s support for the continuation of both Dadaab and Kenya’s military presence in advance of a regional summit on Saturday. His government really only controls Mogadishu; without continued regional support, it might not control anything at all. The Boao Forum, China’s answer to the World Economic Forum in Davos, will kick off. The four-day summit will attract ministers and business leaders from across the region to tackle some of Asia’s most pressing challenges. Kenya will unveil its 2017 budget three months earlier than normal in anticipation of an August general election. The government has a good story to sell: revenues are up, spending is being increased and the fiscal deficit cut.